Send your Valentine a lipstick kiss for Valentine’s Day! It’s sure to bring a smile! 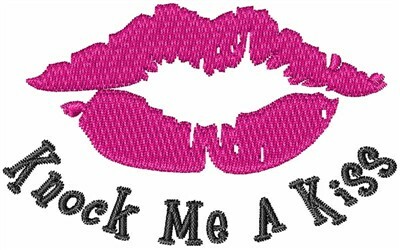 1Z Embroidery is happy to present Knock Me A Kiss machine embroidery design which has 4936 stitches and is [70.94 mm x 50.39 mm] large. If you would like to view more embroidery patterns please search on our embroidery designs page.